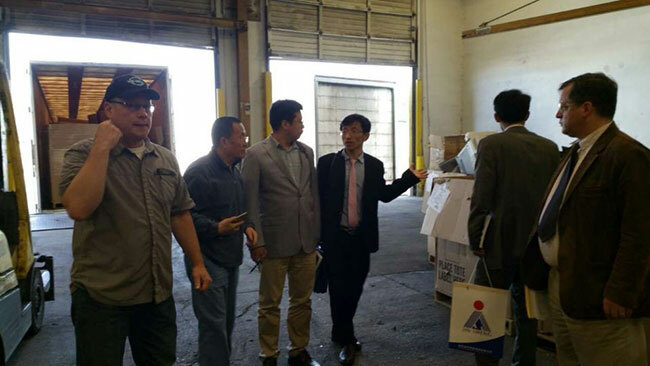 In the morning of May 4th, CMRA delegation, accompanied with Mr Andrew Crowder from Washington State Department of Commerce, visited Total Reclaim and Binford Metal in Seattle. During the visit to Total Reclaim, CMRA delegation and Mr Andrew Crowder were welcomed by Mr Todd Megiveron, the Production Manager of Total Reclaim. Total Reclaim was created in 1991 and in 1999 began recycling computers, monitors, and other electronics. Since then, Total Reclaim has grown to become the leading recycler of computers and electronics in the Pacific Northwest and developed a reputation as one of the most innovative managers of hard-to-handle materials in the nation. 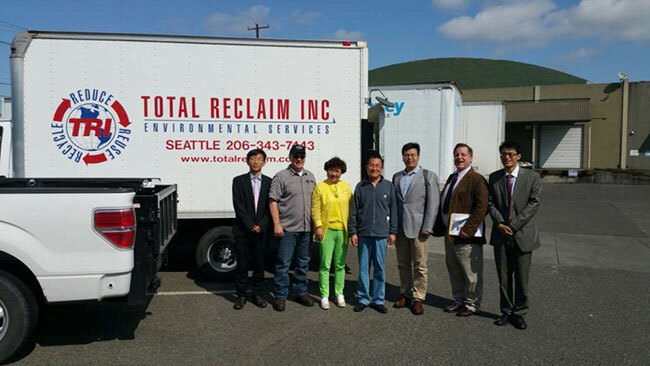 Total Reclaim is approved as a Collector, a Transporter and a Preferred Processor for Washington’s E-Cycles Electronics Recycling Program and also works with all three of the manufacturer stewardship programs operating under the Oregon E-Cycles program. During the pant visit, Mr Todd Megiveron introduced the collection, processing system, the distribution system, the refund system and the Extended Producer Resposibility(EPR) in Washington State. After visiting Total Reclaim, CMRA delegation drove to Kent and visited Binford Metals LLC. According to Mr David Binford, the owner of the company, Binford Metals LLC provides full-service metal recycling and auto wrecking. Established in 1973, Binford Metals, LLC, services King County and the surrounding communities, and can process about 3 million pounds of nonferrous metal scrap and 7 million pounds of ferrous metal scrap every month.